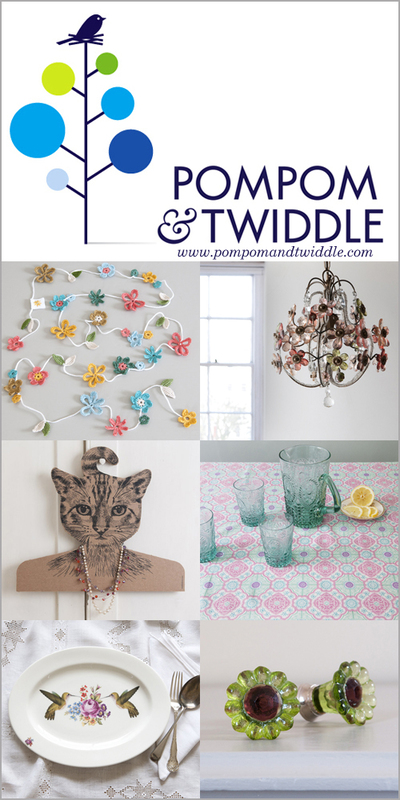 "Pompom & Twiddle aspires to help people to embellish and adorn their homes and add a bit of ‘twiddle’ to their everyday lives. Many products are a little out of the ordinary, often with a slight twist or quirky touch." I'm completely smitten with their eclectic and slightly bohemian home wares range - this chandelier, these cat hangers and this gorgeous hummingbird platter. On the wish list they go! 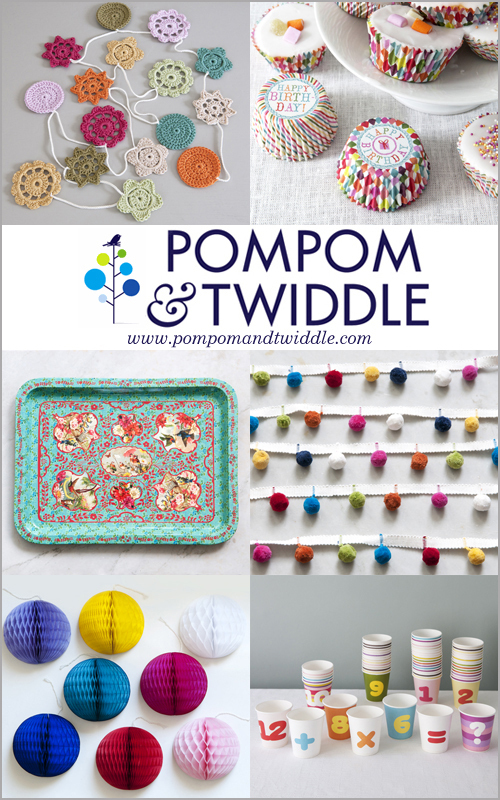 I so need multicoloured pompom trim in my life! Thank you so much my dear Miss Ivy! Oh my Emma I'm off to have a good look, how have we lived without these wonderful things! Ooh lovely - your pretties certainly do look at home here.